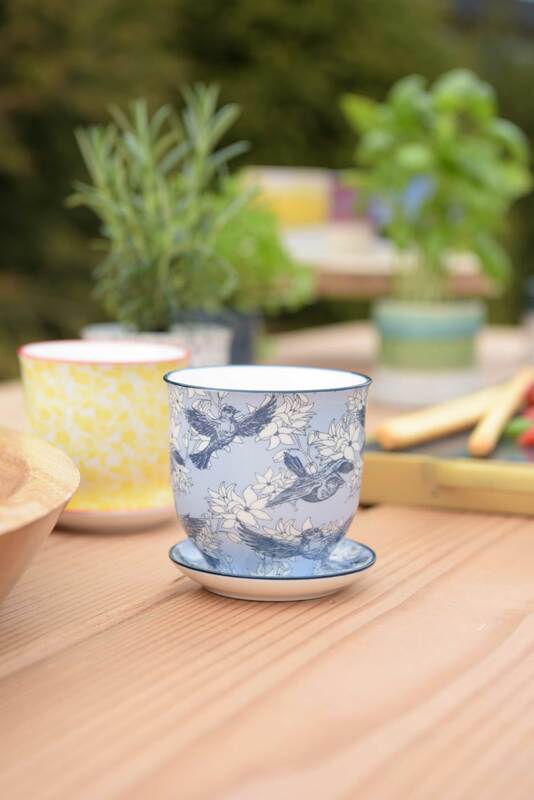 ‘April showers bring May flowers’ and all the loveliness of spring in its glory. 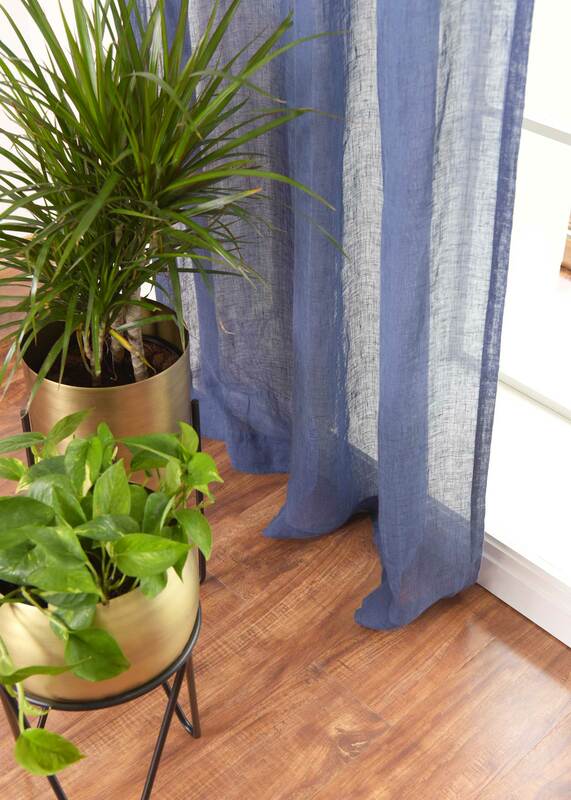 Now is the perfect time to refresh your home by bringing that wonderful spring feeling inside with the natural beauty of fresh green foliage. 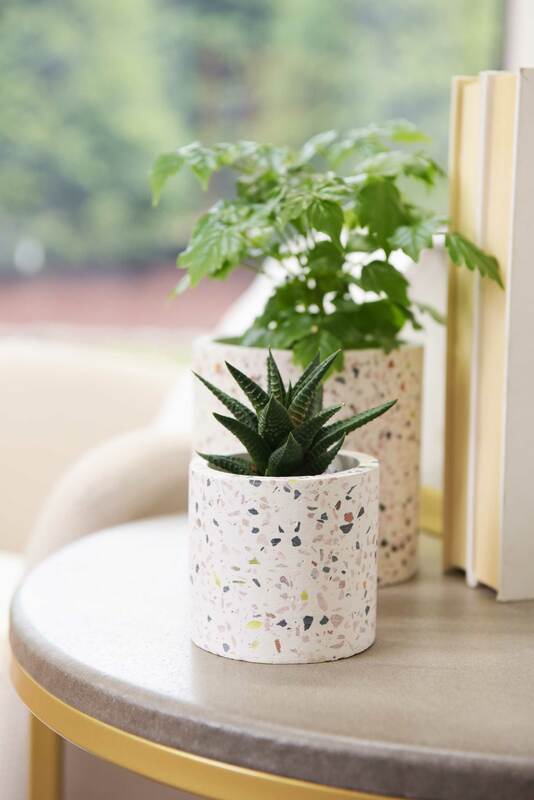 Plants connect us to nature and add life and freshness to a home; they make rooms warm and inviting and naturally lift our spirits. 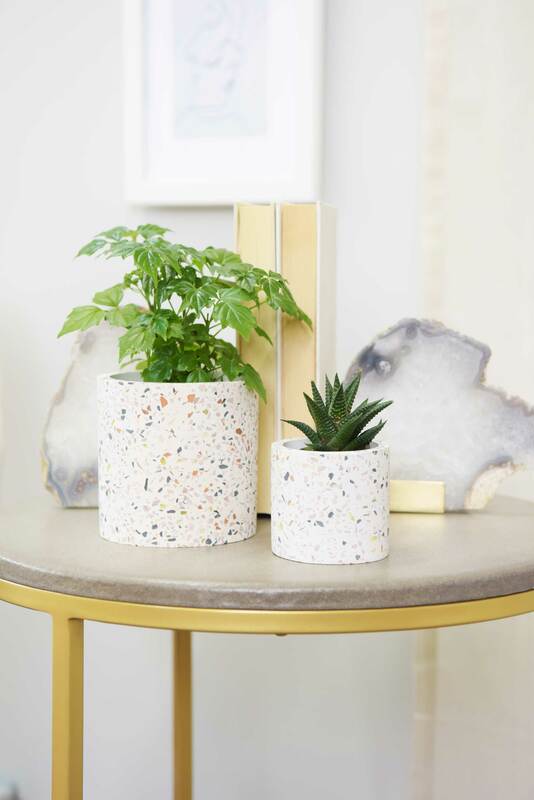 Whether you prefer the earthy appeal of terra cotta, the smooth, glossy look of ceramic, or the textural richness of woven materials, planters can transform the look and feel of a space with color and texture, all without breaking your budget. 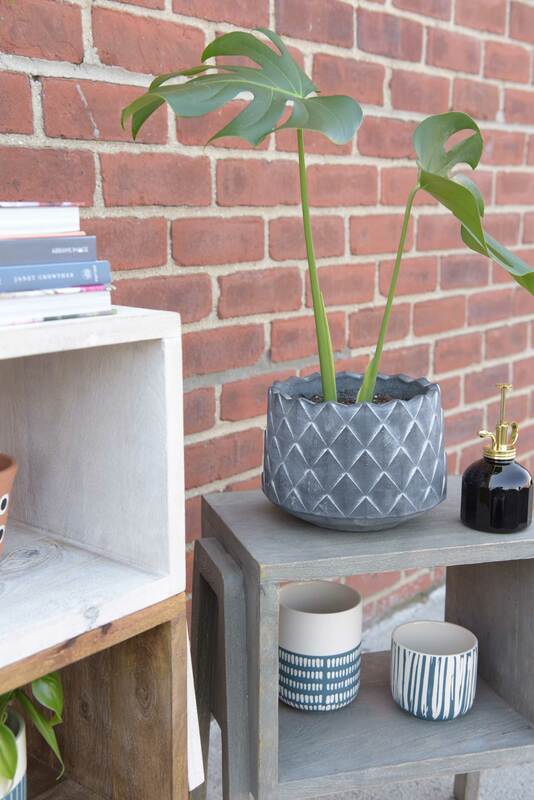 Plus, there are so many planters to choose from that it’s easy to find ones that fit your style. 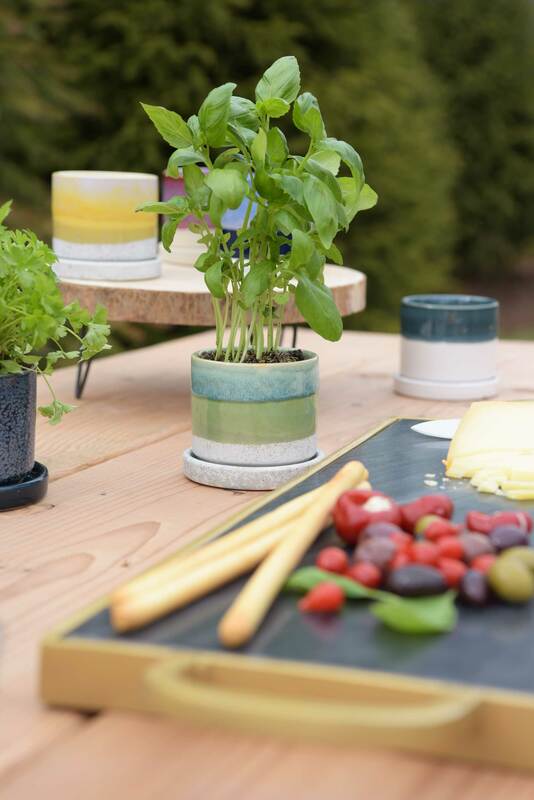 Create a little herb garden on a sunny kitchen window sill or countertop with bright and attractive planters, like our triple-dipped, glazed Minute Planters or our elegant and delicate ceramic Chive Liberte Collection. 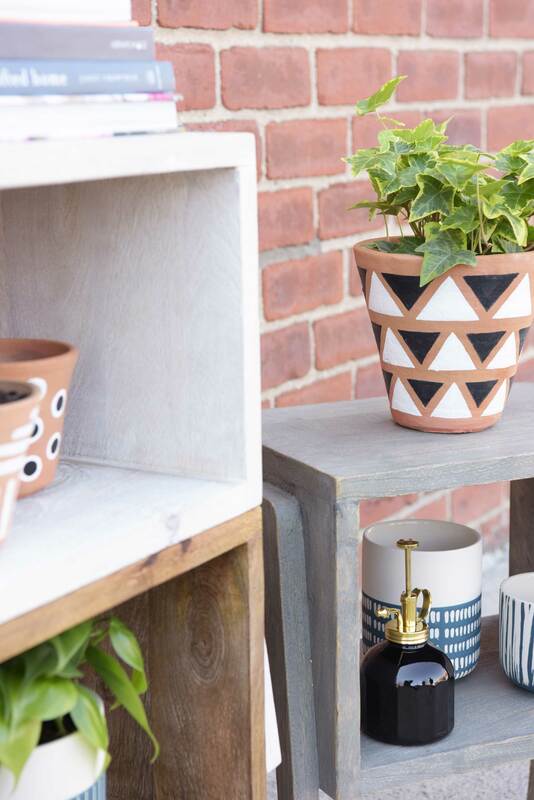 Available in various color schemes and designs, these small planters combine practicality and beauty. 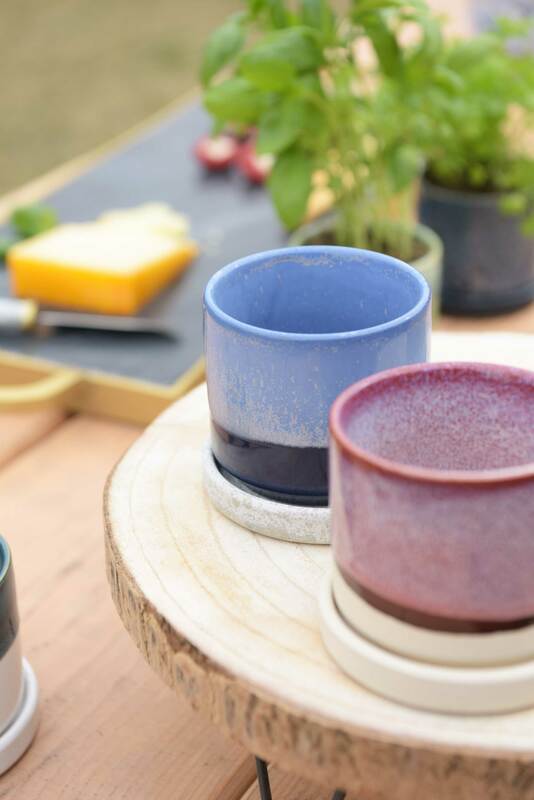 Fill them with lovely aromatic herbs like mint, lavender, basil, and rosemary and infuse the air with their natural scents. 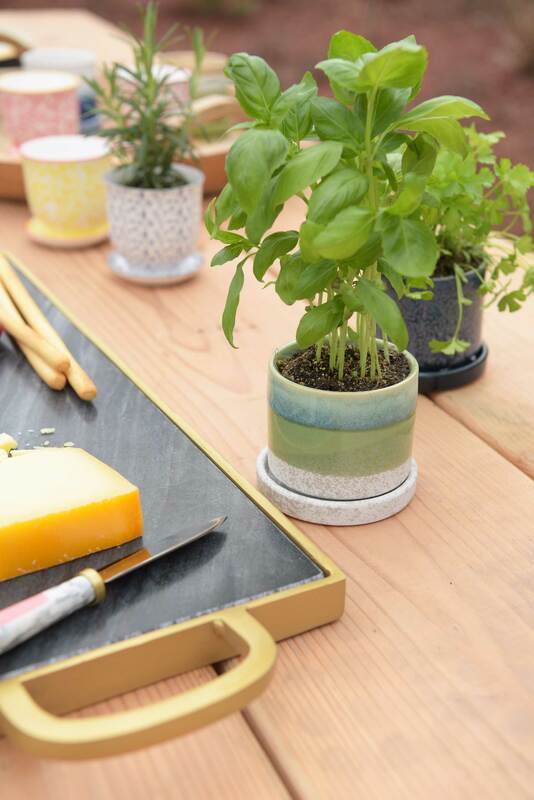 Then enjoy the flavor of your own freshly grown herbs in your favorite dishes. 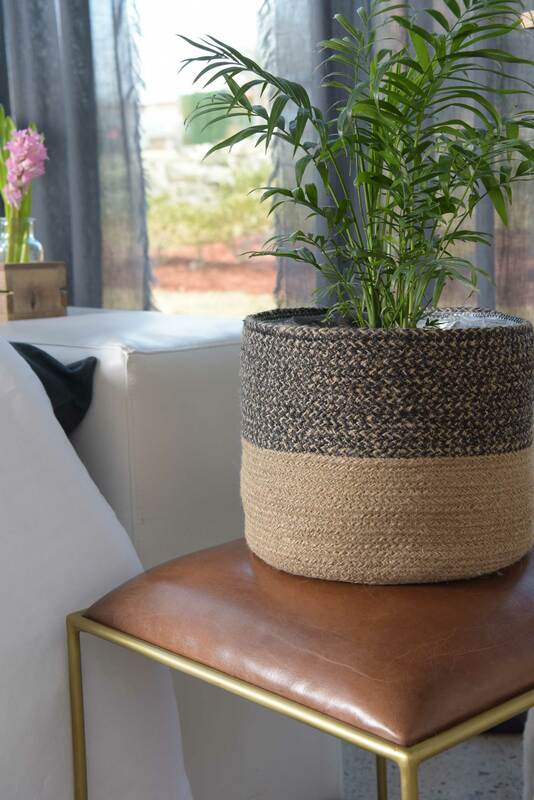 Rustic charm and Boho style are written all over this Colorblock Jute Basket which has all the elements that create warmth: a natural material, woven texture, and earthy colors. 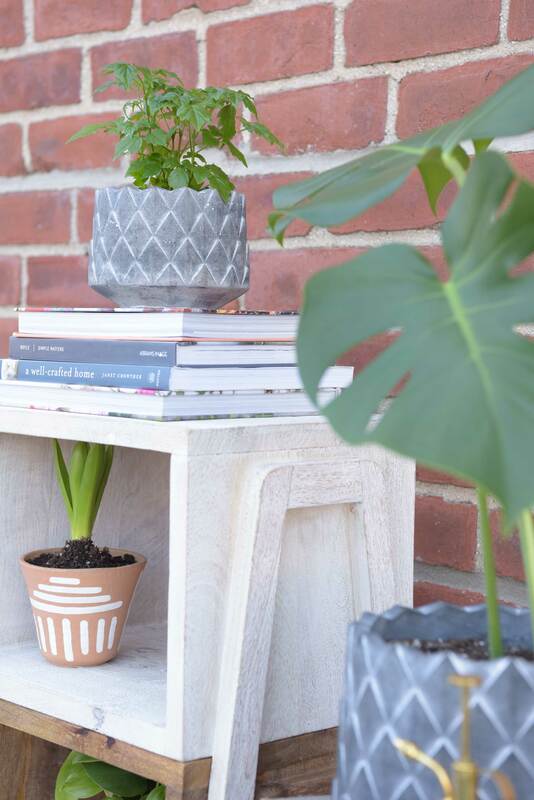 Available in four sizes, this planter allows you to mix and match heights to create visual interest. 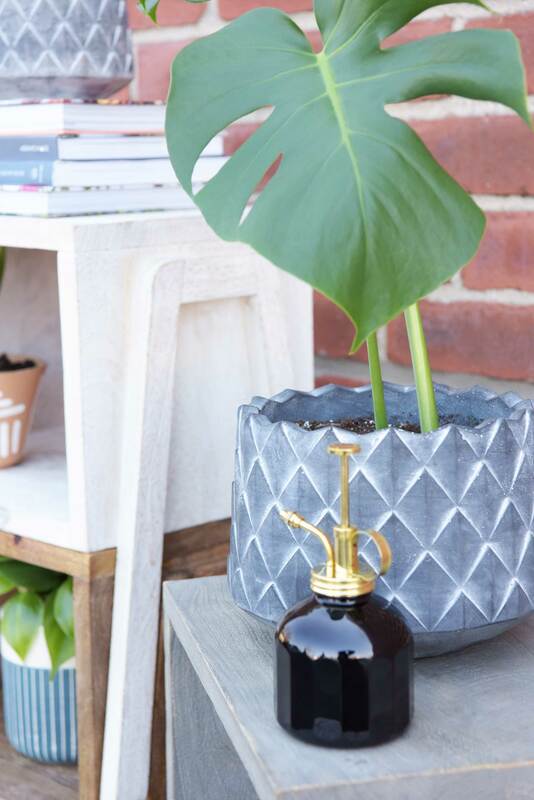 Smaller plants work well as accent pieces on counters and tables while taller plants fill empty spaces and create unexpected and unique focal points. 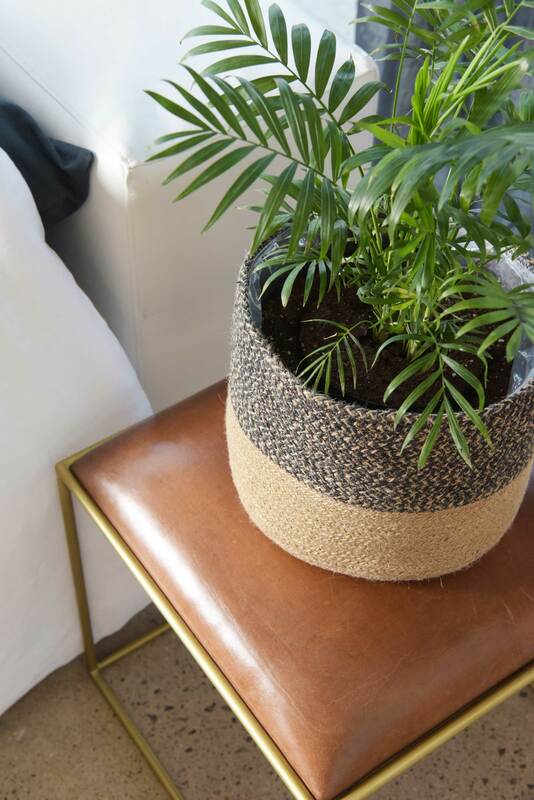 This plastic-lined basket is not just for plants, though. 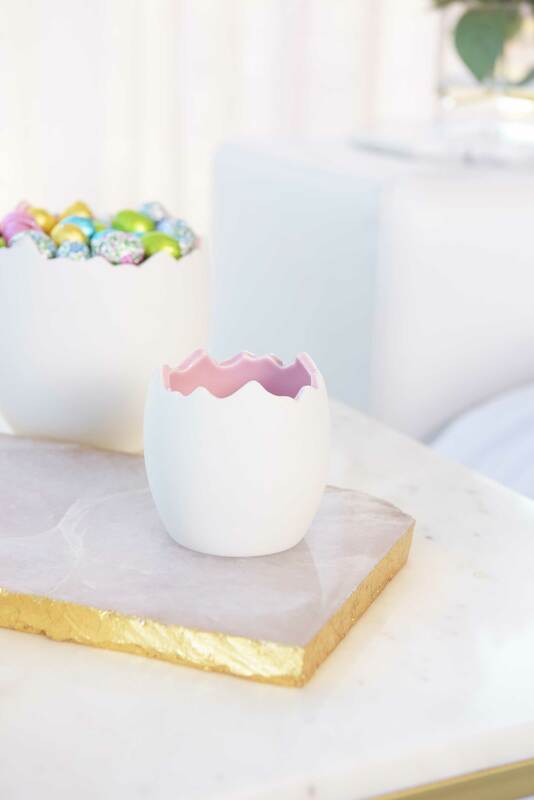 It also functions as a stylish receptacle for towels in the bathroom, toys and books in the children’s bedroom, or fruits and vegetables in the kitchen. 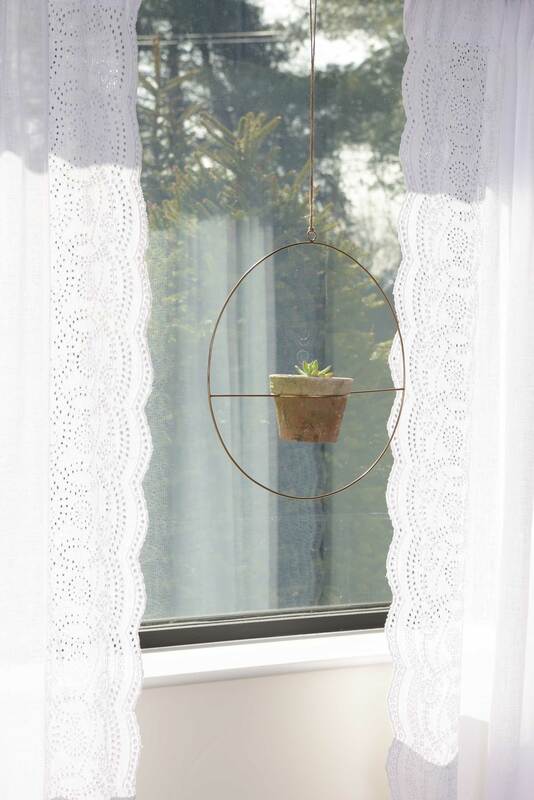 Have a dull window or an empty corner? 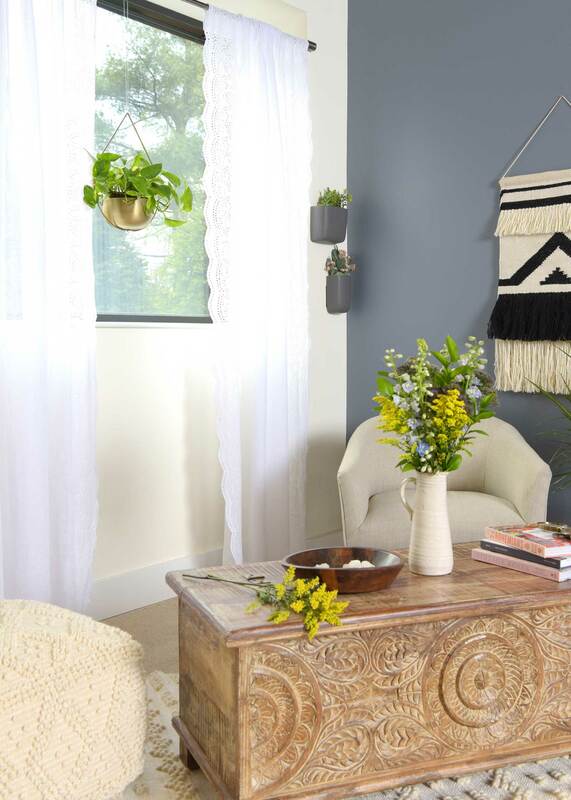 See the transforming effect a hanging plant can have in the home. 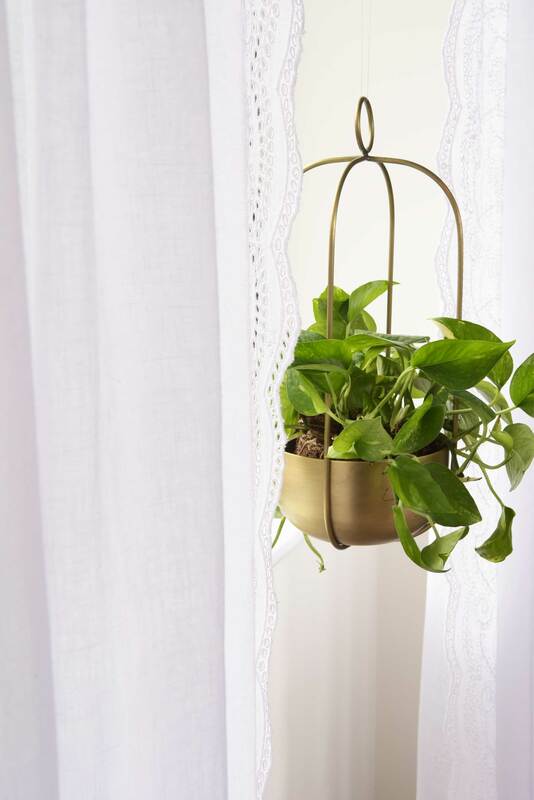 Plants like Boston fern, English ivy, or pothos, with their lush, flowing growth, provide a burst of color but also create a cascading look that brings a natural, vibrant feel to a room. 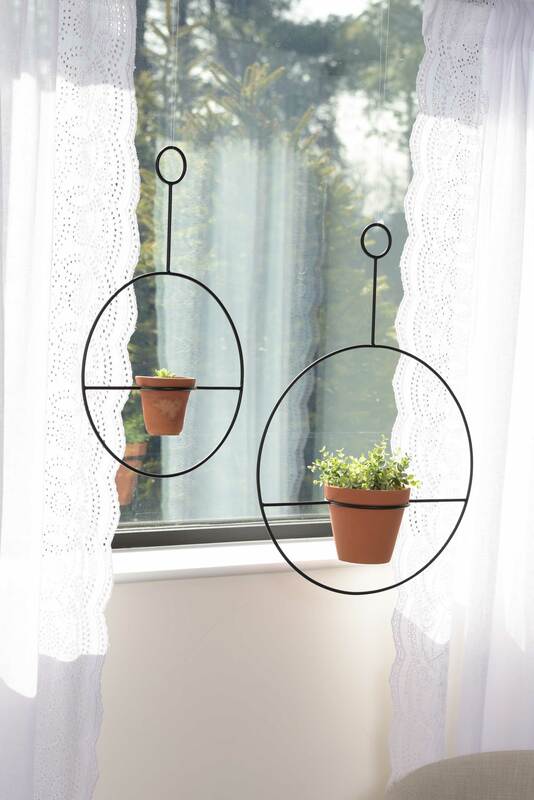 Enhance the effect with a stylish planter, like the Terracotta & Iron Hoop Hanging Planter, with its simple yet bold minimalist design or the Hanging Metal Planter, with the sophistication of a brass finish. 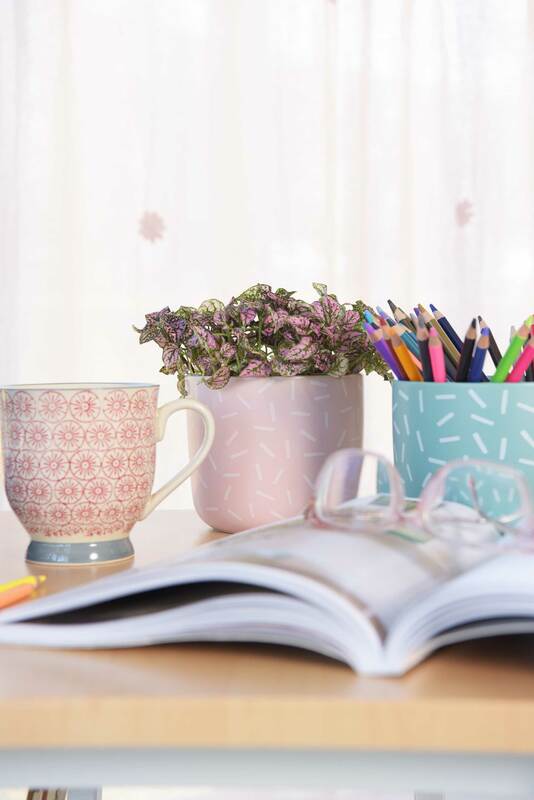 Both take window design to the next level with their blend of functionality and visual appeal. 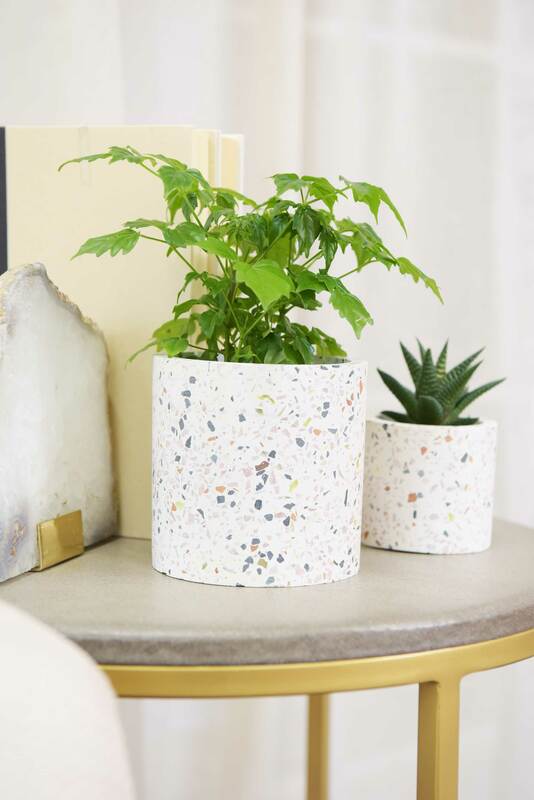 The flowing, natural forms of these planters create a sense of warmth and comfort, while showing off your best greenery. 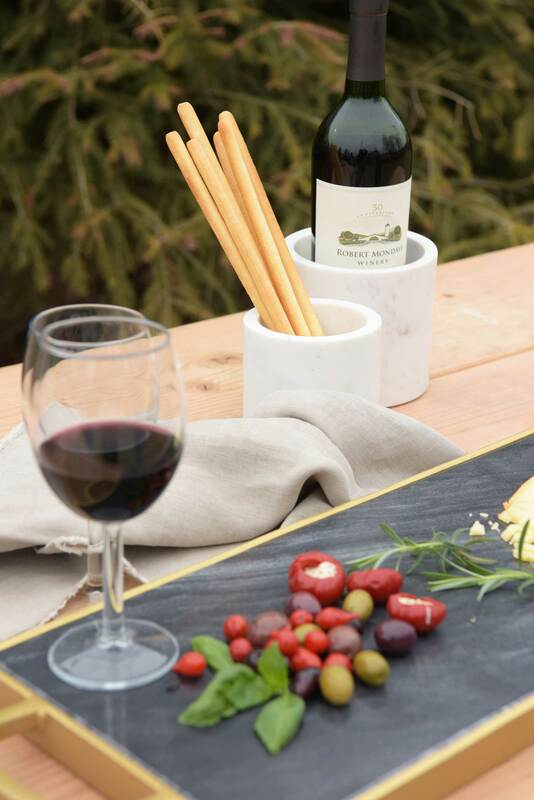 Warm, earthy, natural. 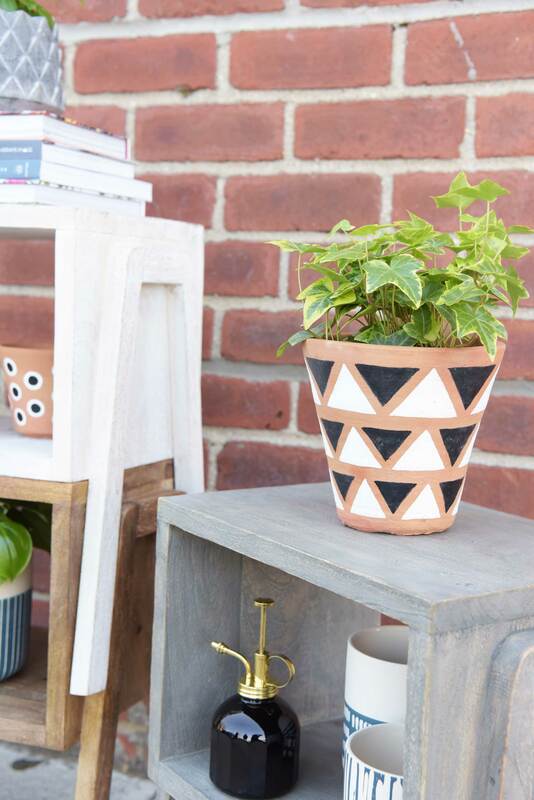 That’s the ambiance the terracotta pots in our Navajo Planter Collection create. 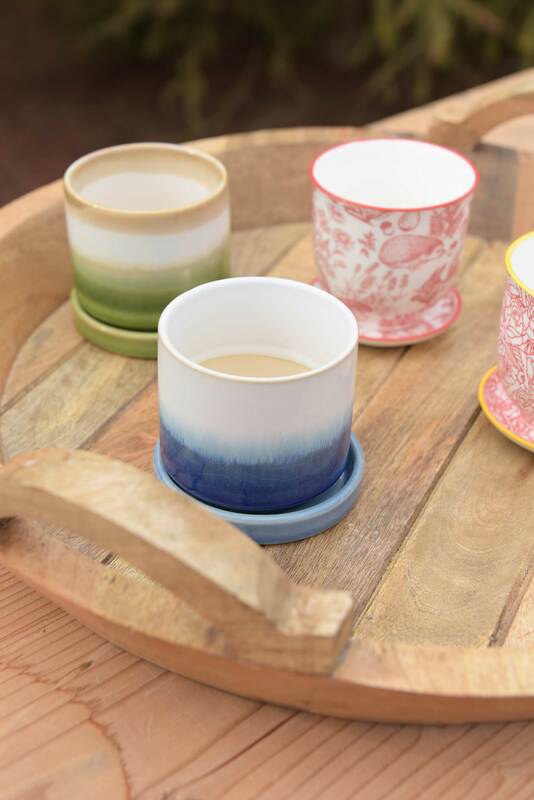 Made the traditional way on a potter’s wheel, they reflect all the originality and beauty of a handmade object. 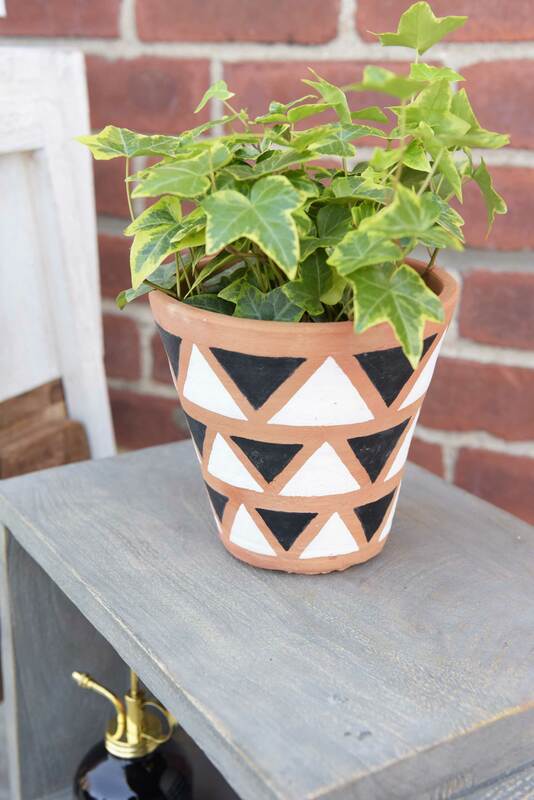 Sure to attract attention with their distinctive black and white patterns, these planters are a great way to enhance your outdoor décor with a bit of Southwestern flair. 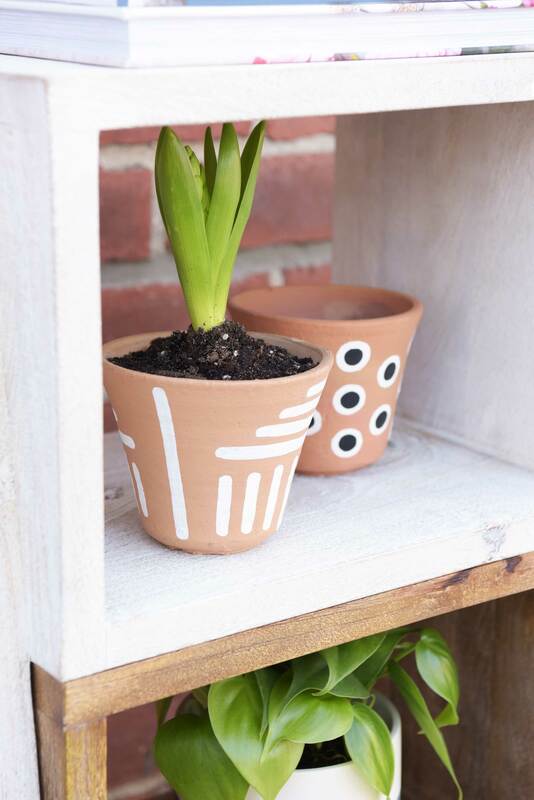 Stagger them along the walkway to your front door or on the front steps as a warm welcome. 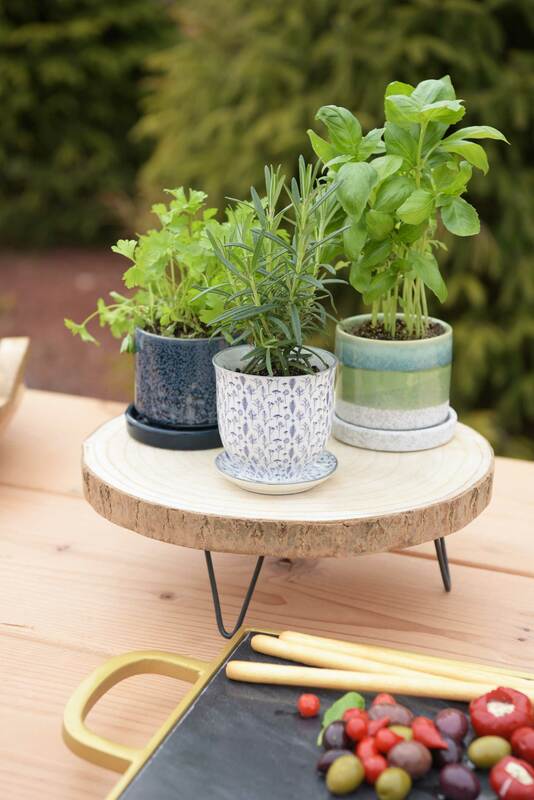 You can also display them on your patio or in your garden. 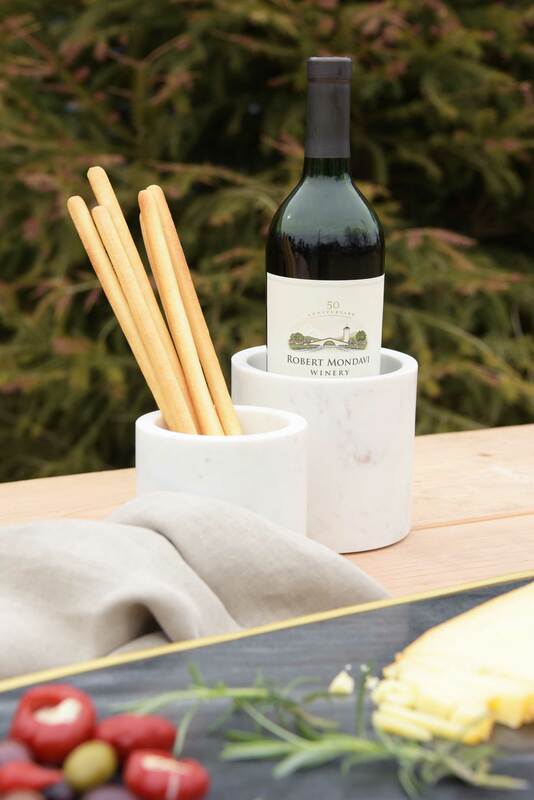 Simple, sophisticated, classic. 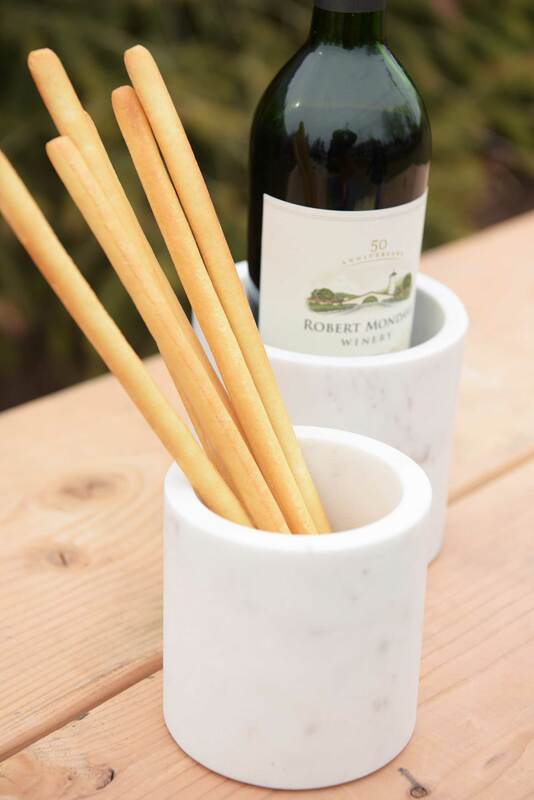 Marble always adds a touch of elegance to a tablescape as it does with our White Marble Planter, whose stark white contrasts beautifully with bold colors. 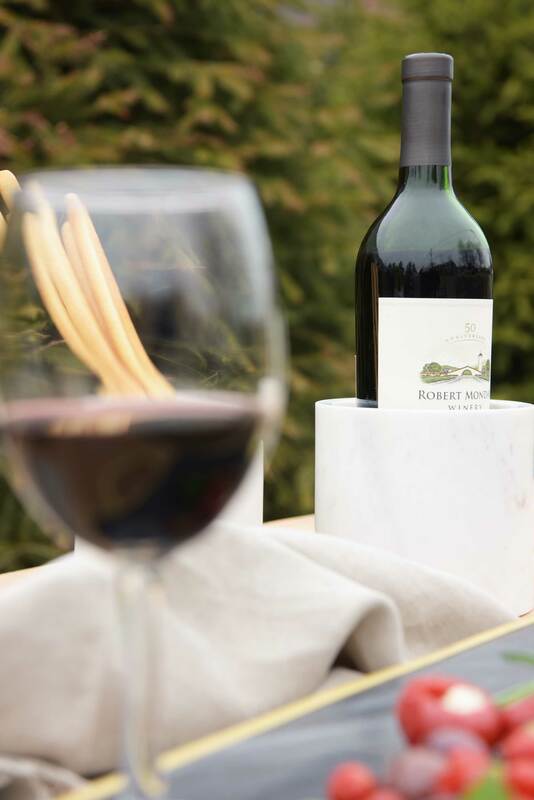 This planter also makes a super stylish wine caddie or candle holder for everyday use or as an eye-catching accent piece at your next gathering with family or friends. 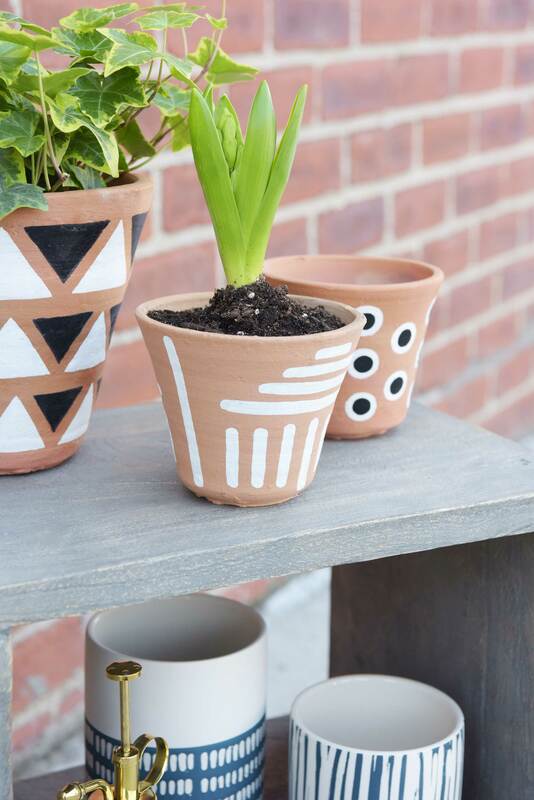 Add a bit of whimsy with unique spring-themed planters. 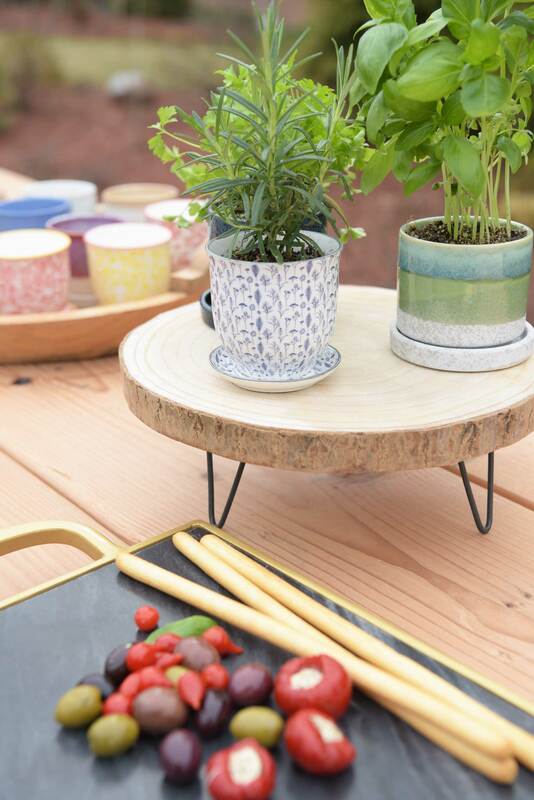 Our ceramic Chickadee Pot and quirky Hopz Pot are sure to delight. 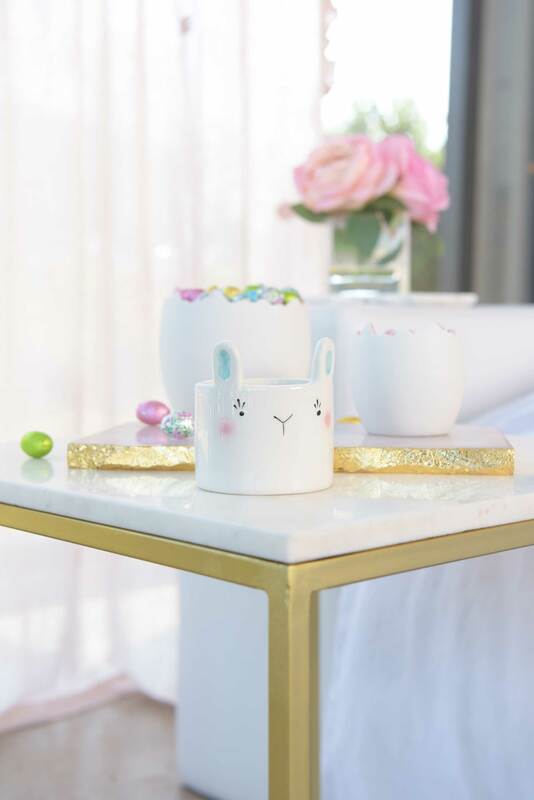 While marvelous by themselves on a table, counter, or window sill, these adorable planters also shine as the stars in a table centerpiece or seasonal display. 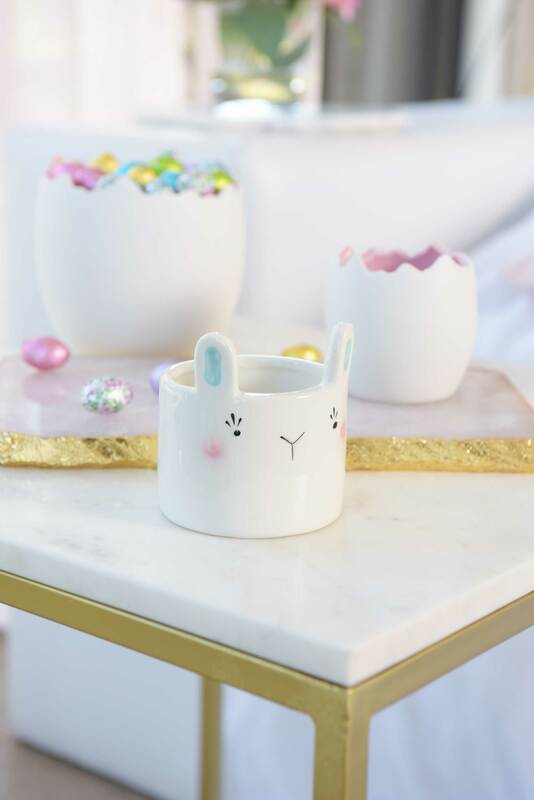 Arrange them with fresh flowers, colored eggs, candy, candles, or animal figurines to create a memorable tablescape. 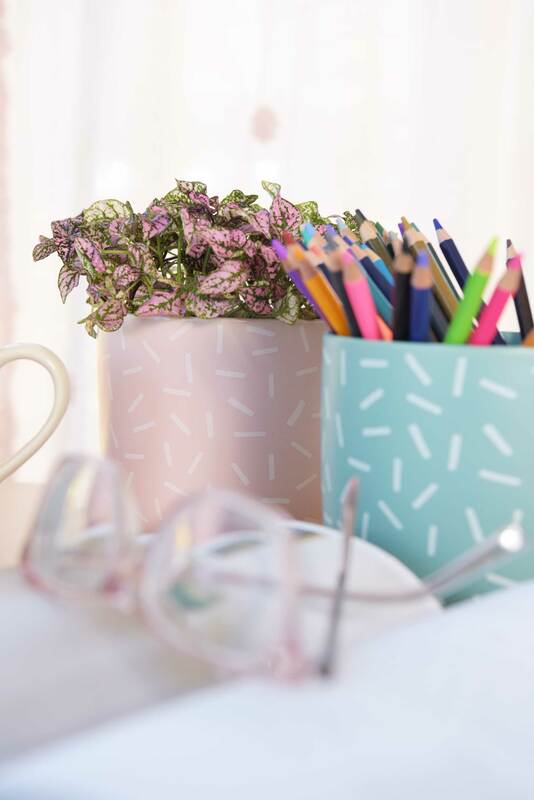 These blue, pink, and white Sprinkle Pots with their playful sprinkle pattern are just plain fun! 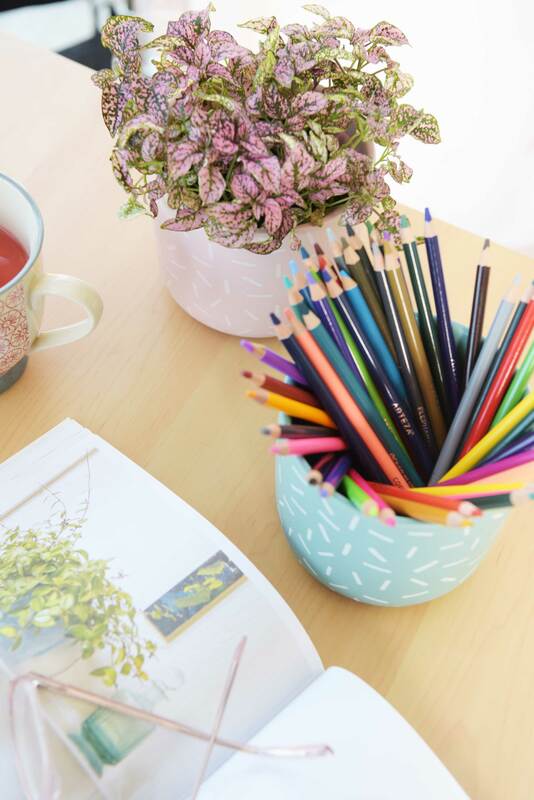 Infuse a dash of color in your home office or workplace with one of these colorful planters filled with your favorite plant. 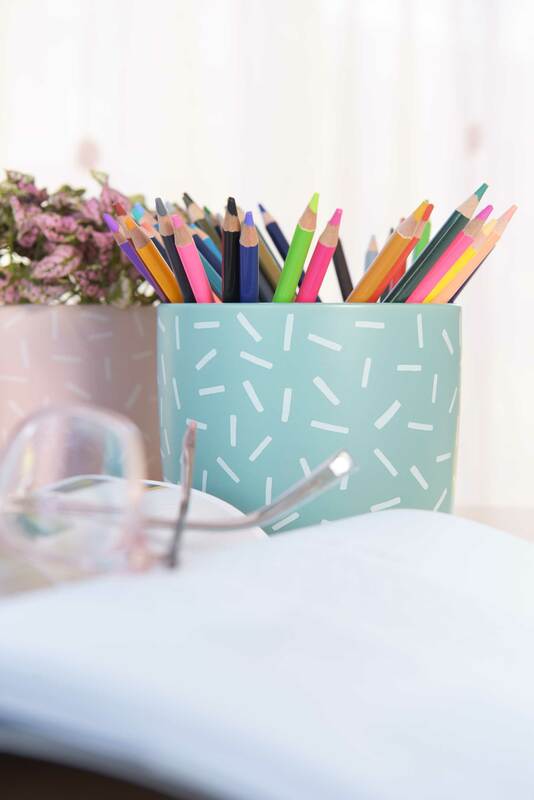 They work equally as well as handy containers for office supplies (just the place for the paper clips you can never find! 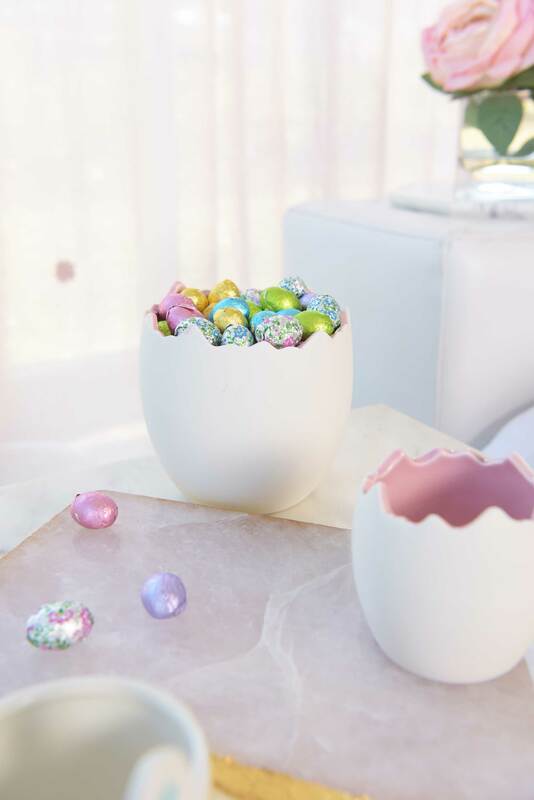 ), candy, or odds and ends. 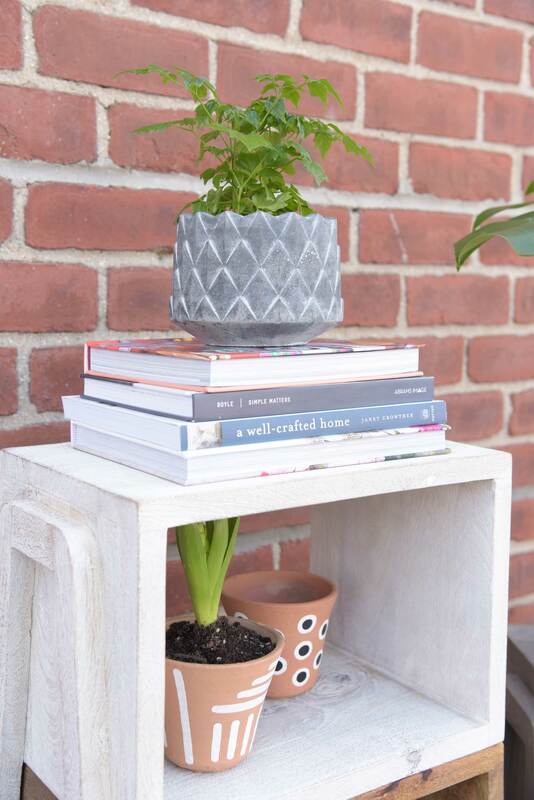 Potted plants look great on pedestals, and even better on the pedestals of books. 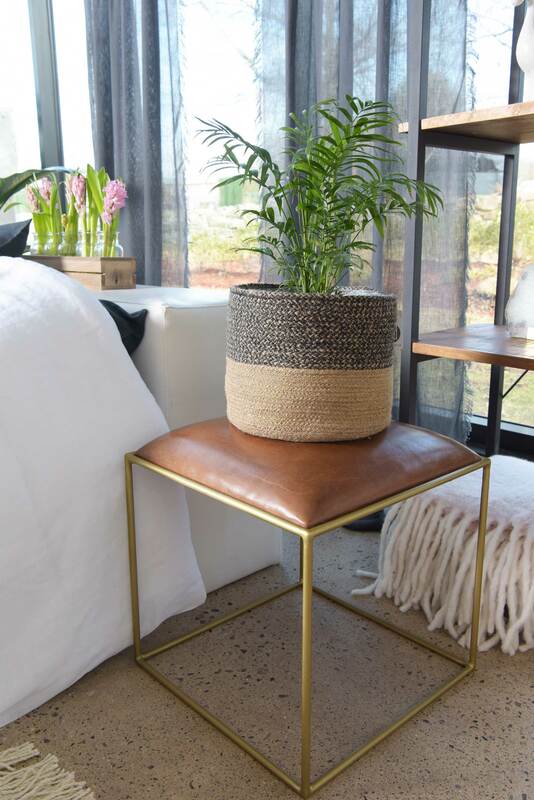 Mix and match heights to add visual interest and to create design balance with other room furnishings. 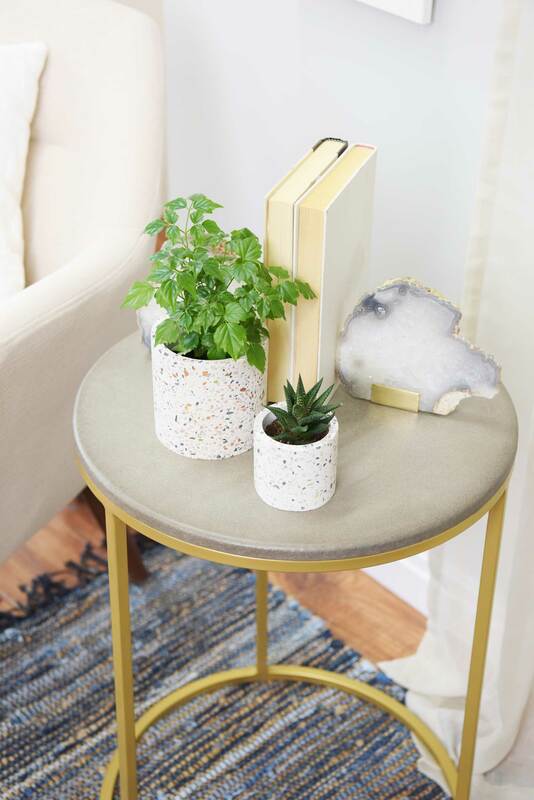 Brass or Cement planters are great for adding character and texture in addition to height! 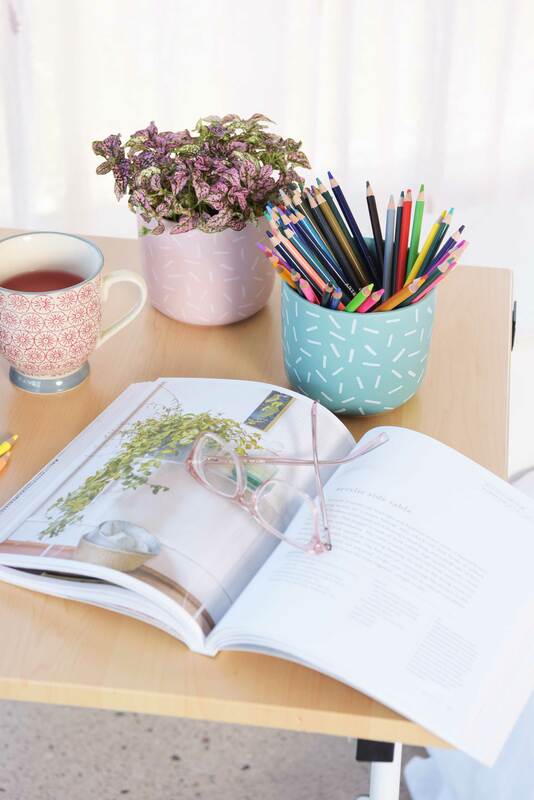 Want to inject a bit of on-trend design to your interior? 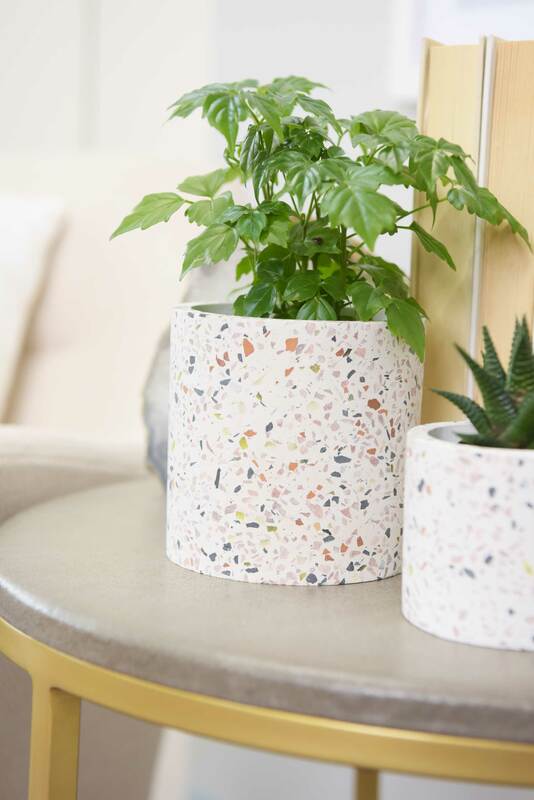 Think terrazzo, that eclectic composition of chipped granite, glass, or quartz in a concrete base. 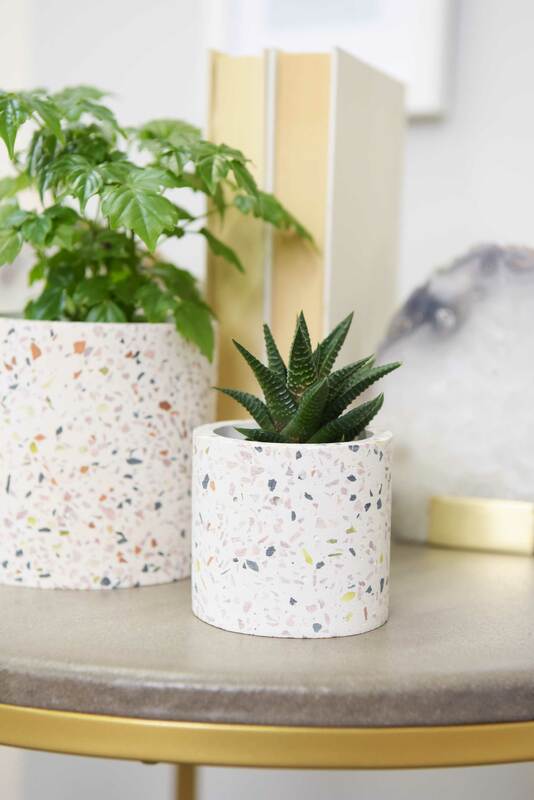 Use our Terrazzo Planter, to introduce a subtle industrial or modern edge into your home décor.